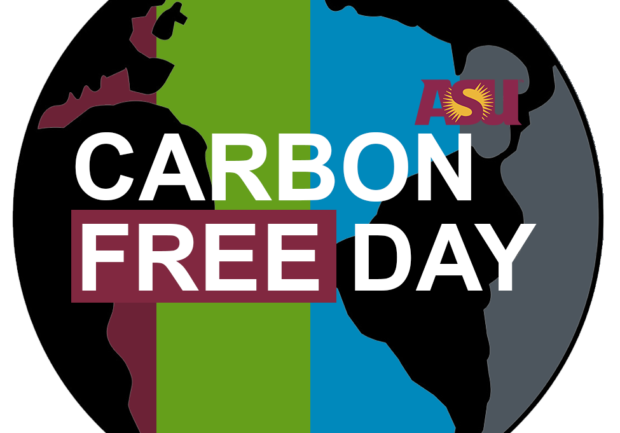 The Carbon Free Day campaign’s goal is to decrease ASU’s CO2 output on Friday, April 17, 2019 — preferably to zero! Pledge to make a change! Choose from transportation, food, energy or create your own pledge to make a small change in your daily life to decrease your carbon footprint. 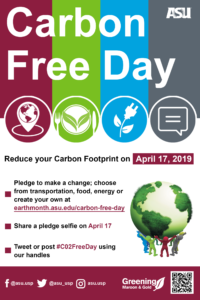 Stop by any of the Carbon Free Day outreach tables between Monday, April 1, 2019, to Monday, April 15, 2019, to receive prizes! Learn more about these opportunities. 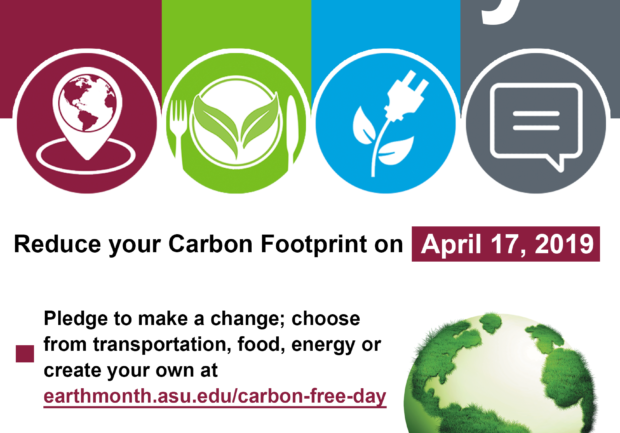 If you’re interested in helping with Carbon Free Day’s tabling efforts, contact Emmery Ledin at emmery.ledin@asu.edu. Up to 15 sustainability committee members will receive a shirt for participating!